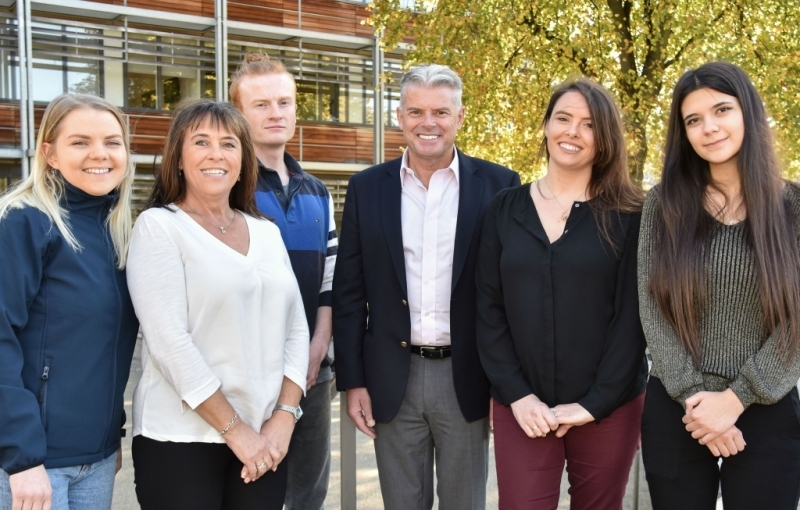 Expat Aberdonian businessman Dave Cormack and his family have donated over £270,000 to set up a new scholarship programme to enable students from widening access backgrounds study at the University of Aberdeen. The Cormack Family Foundation Scholarships - which are funded through the charitable foundation run by Dave and Fiona Cormack - will support a total of 12 undergraduate students who have enrolled at the University through its Gateway 2 Medicine and Access Aberdeen widening access programmes. Over the next three years, the Scholarship will support two students a year through the Medicine (MBChB) degree programme, and two students a year through a business degree at the University of Aberdeen Business School. For students enrolled in the MBus International Business degree programme, there is also an additional bursary available to support a study placement abroad. 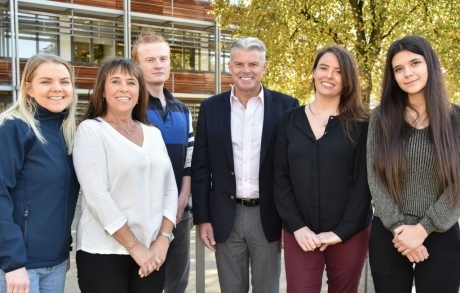 The Cormack Family Foundation Scholarships were officially launched today at an event held at the University’s Foresterhill campus, where Dave and Fiona Cormack, along with their daughter Dr Sarah Cormack-Patton, were introduced to the first cohort of scholars. Commenting on the launch of the scholarships, Dave Cormack said: “We were delighted to meet the first Cormack Family Foundation Scholars today and inspired to learn about their individual journeys to university. “As natives of Aberdeen, and with a core of our Foundation’s mission being to empower children through education, Fiona and I are very happy to help students from widening access backgrounds achieve their goals, and the young people we met today are testament to the talent and ambition that exists here in the north-east. Diana Pituc, a first year medical student and one of the first Cormack Family Foundation Scholars, said: “I feel truly privileged to have been chosen to receive this scholarship, and to know that I am supported in my journey to becoming a doctor and that I can dedicate my time to striving for excellence in medical school without having to worry about any financial difficulties. University of Aberdeen Principal, Professor George Boyne, said: “This University was founded on the principle of being open to all, and our long-standing commitment to widening access is demonstrated through a range of programmes that aim to give people from the widest possible range of backgrounds the chance to realise their potential.